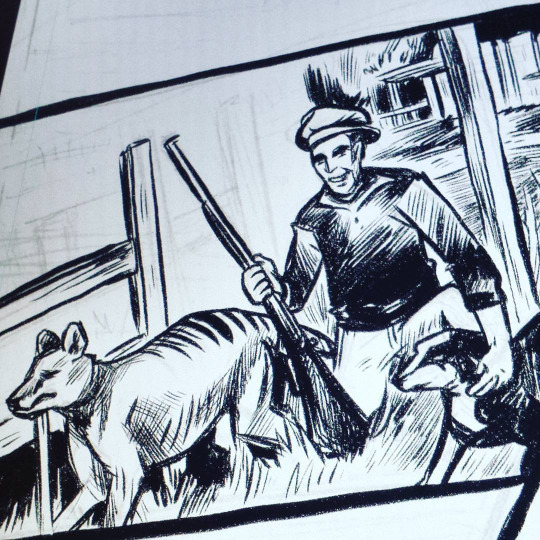 I have a comic about Thylacines and a Newt illustration in this really exciting anthology that is CURRENTLY being Kickstarted! Help it reach it's goal! Awesome Possum is a natural science anthology full of comics and illustrations from both natural science illustrators and cartoonists! This series was created by current CCS-er, natural science illustrator, and fellow Schulz Librarian, Angela Boyle. Please contribute and share if you can!